Note: The following piece talks about communication strategies but I couldn’t write this all by myself. I had the help of Kaila, our imATHLETE communication maven. So before we get going, Kaila’s got a couple of thoughts for you…. I do a lot of thinking and reading about communication and communications strategies, and I think it's safe to say that the worst communications strategy is to operate with no strategy. A bad strategy, on the other hand, is just a misguided one. If you don't have a communications strategy at all, go make one. It doesn't have to be a fancy process, you can just who-what-where-when-why-how on the backs of napkins if you need to. What's important is that you know why you're doing what you're doing. Just because something worked a certain way in the past, doesn't mean that's how it's going to work in the future. 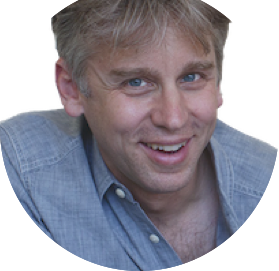 Platforms change their algorithms, people change how they consume information, and you get to update your communications strategy along the way. Test everything, and come up with your own playbook. If your tests can't prove something is worthwhile, who cares what anyone else thinks? With that, I'll hand it over to Jeff. Communication with athletes is changing. That's because general communication expectations have changed in our society. Thanks to smart phones and smart apps, text messaging and social channels, communication isn't what it was like as recently as even five years ago. What I'm telling you is that you've got to continually reinvent your communication strategy or risk irrelevance. If your marketing strategy is reduced to “let’s send mass emails,” you’re missing the boat. In fact, you’re missing the boat so much that you’re looking for the boat at the horse and carriage depot. Are you getting more than .5% of people (1 out of 200) unsubscribe every time you send an email? Are you getting more than .05% of people (1 out of 2000) reporting you as spam? If so, it’s past time that you rethink your marketing communication strategy. So what can you do differently? Well, that all comes down to participant expectations in today’s day and age. You know those messages you get on your phone when your plane is delayed? *That* is a great example of information that is personal, relevant and timely. Google alerts? Same thing. Personal. Relevant. Timely. You know what's also relevant? Texting last year's participants with a personal, special offer for them to sign up for the event before everyone else. Or sending an email to those people who only signed up for three events in the four-event series - referring to them by name and personally inviting them to sign up for the fourth. Which brings me to my main question: how are you managing and mining your data? Are you being passive and sending out mass emails? Or are you actively mining the data, perhaps leveraging a CRM tool (more on that in a sec), and creating smart notifications that are personal and relevant? It's a big switch to go from passive to active. But as I mentioned in a previous message, it costs you SEVEN TIMES MORE to get a new participant than it does to keep an existing one. MailChimp (www.mailchimp.com) - A leader in the space and, arguably, the best. Super-easy to use, good looking templates, loads of features and support and the ability to connect to their API. Constant Contact (www.constantcontact.com) - Assortment of templates, decent metrics. They used to be the leader in the space but have a lot of competition now. What the heck is a CRM tool? 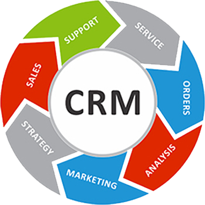 A Customer Relationship Management (CRM) tool is a platform that helps you manage and analyze the activity of each of your customers/participants. Think of each participant having a separate entry where you can store all of their data: contact information, birthdate, what events they've done, which years they've done the events, what they are currently registered for, what running shoe they wear, etc. Then you can communicate with those people in personal, relevant and timely ways, based on their behavior. Maybe whenever somebody signs up for your half marathon, you immediately send them a half marathon training program. Then perhaps you set up the system to automatically send a quick survey every two weeks to the people who signed up for the half marathon and who bought the training program but who haven't yet completed the survey. You see where this is going? Automated communications that are Personal, Relevant and Timely. Salesforce (www.salesforce.com) - In the CRM space, Salesforce is the leader... by far. You know how Google is the leader in web search and there really isn't a second place? Salesforce is the Google of CRM. Because of that, Salesforce is also the most expensive and the least user friendly. However, Salesforce offers more functionality than any other CRM provider, but you'll most likely have to hire a consultant to help customize your Salesforce experience. If you're a company generating millions of dollars, and you're not on a CRM system, go look at Salesforce immediately. If you're not that big, keep reading. Sugar CRM (www.sugarcrm.com) - A hipper version of Salesforce. Doesn't have all the thousands of bells and whistles that Salesforce does, but you don't need them... yet. 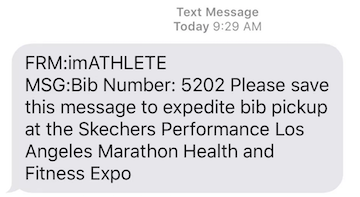 For the vast majority of endurance event companies, Sugar should have what you need to bring your data mining and participant communication to an entirely new level. Zoho (www.zoho.com) - Zoho is the next step down and is a bit more focused on sales pipeline management. That said, your previous participants are your sales pipeline and you should be thinking about them like that. I will talk more about this in the future, perhaps even including some case studies and best practices in marketing communications. In the meantime, start thinking about how you are engaging people, check out your metrics and think of what types of adjustments you can make to ensure your communications are personal, relevant and timely.